Why Choose Sprout Digital to Manage Your Paid Social Media Campaigns? You may not think of paid ads when you picture social media marketing strategies, but for a local business to stand out among the crowds and competitors, paid social media is a necessity. However, in spite of the importance of social media awareness and engagement with a business, most small business owners lack the time, expertise, and tools required to effectively create profitable ad campaigns. At Sprout Digital, we have the knowledge, experience, and skills to advertise your business across multiple social media platforms in a cost-effective way that maximizes your ROI. 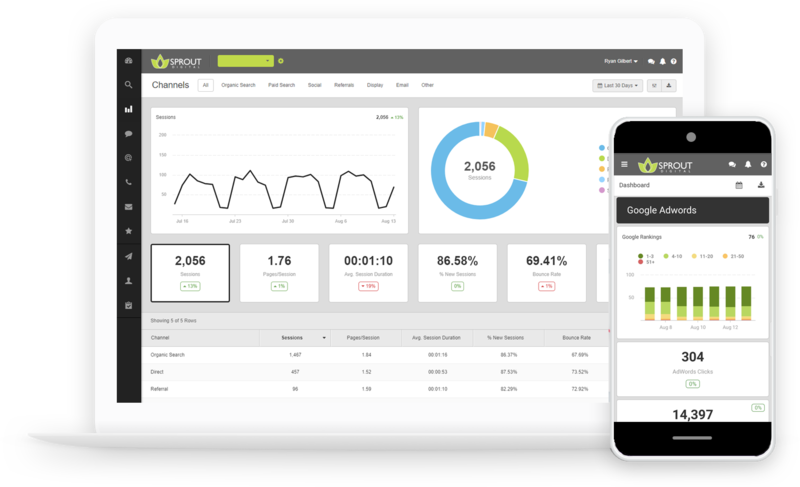 The Sprout Digital Marketing Team is ready to help with every aspect of your social media campaign management—from tracking setup, reporting, creating ad content and copy, and more. Why Use Paid Social Media Advertising? It is also a strategic way to get potential customers to visit your website and join your mailing list or newsletter, so you can continue to build trust and market to, thereby increasing the lifetime value of your customer.